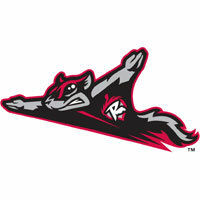 The Flying Squirrels (58-77) followed up a commanding 4-0 win on Monday night, with an even more impressive 11-0 deconstruction of Hartford (72-62) on Tuesday. Left-hander Andrew Suarez carried the shutout torch for seven innings and earned his seventh win of the season. Richmond took a 3-0 lead into the eighth inning and erupted for eight runs in the frame to run away with the game. Tyler Horan homered twice in the eighth, becoming the third Squirrels player to accomplish the feat and the first since Ricky Oropesa homered twice in the sixth inning exactly a year ago. Joe Nathan tossed the ninth inning and punched out a pair of Yard Goats to finish the game. Richmond gave Suarez an early 3-0 lead, attacking Hartford starter Zach Jemiola in the first inning. Steven Duggar ignited the offense with a hustle double on a ball that was hit into shallow center field. After Christian Arroyo grounded out, Tyler Horan reached on an error, pushing Duggar to third. Chris Shaw then delivered a two-run double ino the alley in right field for a 2-0 lead. Shaw later came around to score on Ryder Jones’ infield single to third base, 3-0. The Squirrels applied additional pressure on Jemiola in the second. Steve Lerud worked a walk and with one out and Steven Duggar doubled out to right center field. Jemiola then escaped trouble by striking out the next two batters. From there on, the two hurlers cruised into the latter innings nearly untouched. Jemiola retired 14 consecutive batters to end his outing, striking out Ryder jones to end the sixth. Jemiola (8-9) suffered the loss despite allowing just three runs (one earned) over six innings of work. Suarez was slightly better, taking Richmond into the eighth inning without allowing a run. The lefty scattered six hits, struck out three batters and did not walk a hitter to earn the victory. Suarez lowered his ERA to 4.25 with the shutout performance and will have once more start to end the season on Labor Day. Richmond erupted for another huge inning to pull away 11-0 in the bottom of the eighth. After scoring a franchise-record 12 runs in an inning on Saturday, the Squirrels put up nine runs in eighth inning on Tuesday. Tyler Horan capped the scoring with a pair homer runs, joining Jarrett Parker and Ricky Oropesa as the only Squirrels players to homer twice in an inning. Richmond took advantage of four walks and a hit batter to excel in the stanza. Christian Arroyo contributed with a three-run double and Steve Lerud worked a bases loaded walk to drive in a run. Lerud walked three times and now leads the team 32 walks. Preston Claiborne tossed a scoreless eighth inning and Joe Nathan finished the game with an uneventful ninth. Natham struck out two and has not allwed a run over his first five appearances with Richmond. The 11-0 win was the second consecutive shutout for Richmond and their 11th overall.